the action of traveling, typically abroad; journeys, especially long or exotic ones. the only thing you can buy that makes you richer. 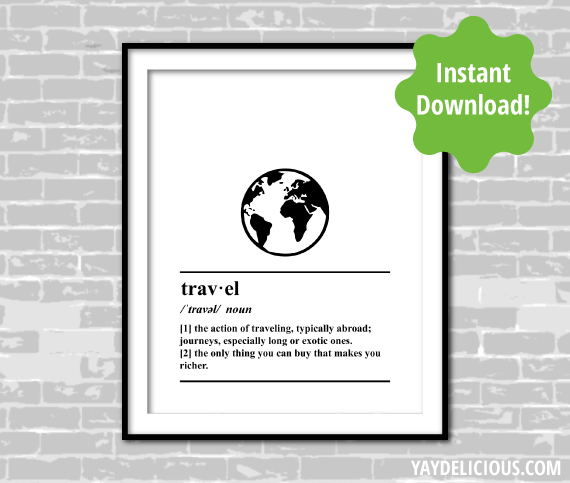 Find the instant download in my Etsy store and print it at home! If you want a physical print, card, t-shirt, etc, you can order that here. Images are free for personal use, unless otherwise specified; if you post them somewhere else or on social media, attribution would make me very happy :)Thanks for respecting my creative efforts, and enjoy!